Pre-heat oven to 400F/205C. If using wooden skewers, soak in water for 10 minutes. Grease a baking sheet and 12 flat 6” skewers with vegetable oil. In a bowl, mix all the kebab ingredients together. With wet hands, form the lamb mixture into oblong sausage shapes around the top ends of the oiled skewers. Place on baking sheet and bake on the top rack of a pre-heated oven for 8-10 minutes, finish on broil to brown for another 5-8 minutes. Alternatively, BBQ on a medium heat for 15-18 minutes. Mix all yogurt sauce ingredients together and chill until ready to serve. 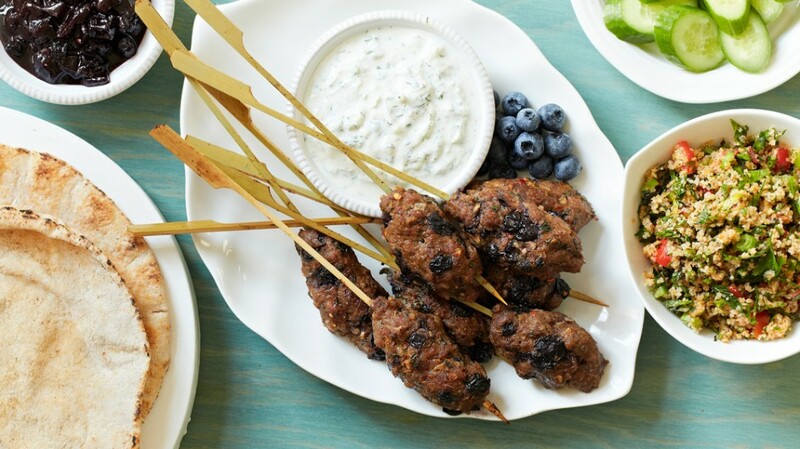 Serve kebabs with yogurt cucumber mint sauce and pita.